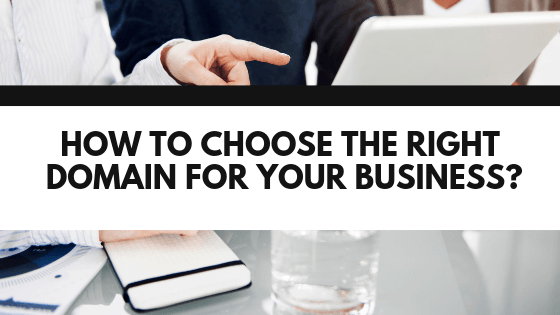 The domain is a name of your website and if you have chosen the right domain name, it will not only impact on your SEO efforts but also on your brand as well. In branded domains, we are actually buying a name that is unique but attractive. After that, we will build our brand in the mind of people. So what will happen, people will start buying or using our products with the brand name. Just take the examples of Google, Yahoo, Microsoft, Facebook, Bing, Twitter, Ali Express and many more. When those names have created no one in the world would know them, but now they are in everyone mind. On the other hand, Exact Match Domains are those in which we have used our targeted keyword. You can use either partially or fully. Let’s suppose your keyword that you want to rank for is “How to Get Six Packs Fast” and you buy a domain howtogetsixpacksfast.com or howtogetsixpacksfastest.com. Both are examples of EMD. Always buy a Brandable domain name. Once you built a successful brand, this is where you start to see massive opportunities online. Even small brands are making excellent income online because there is a huge market and you can target worldwide. 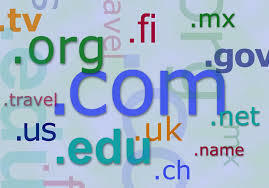 At this point you may be thinking that whether after selecting a domain name, can we change them? Off course you can change your domain name, but the process is not as simple as you might think. We have a few examples in the past, and the most prominent name that comes to my mind is MOZ. The previous address of MOZ Company was seomoz.com, and later on, they have changed this to moz.com. As the process of 301 redirection is complicated, so there is a great risk of losing your traffic. Even if you have redirected all the traffic to a new name, still you will face massive customers’ service issues. This is why I suggest you take your time before finalizing your name. I suggest a few of the things before buying any domain and later on I will show you a few tools that can make this whole process a lot easier. How to Get Domain Ideas? So after reading the above things now, you are looking for some good ideas then I suggest you go for domain name generators. What they do actually is you need to use your main (seed) keyword and those tools will give you hundreds of ideas. Not only you will get one or two words ideas, but these names are also available as well. I suggest you read this post, “Top 15 Domain Name Generators” in which the Dmitry has provided useful information about this topic. If you are tired of typing words on registrar and end of seeing “already registered” then why not try those domain name generators. Which Domain Registrar to Choose? Once you have come up with a good idea, I suggest you visit Namecheap as I always prefer to use this domain registrar for buying every domain name. They are trusted, legit and provide some excellent support service. The one other benefit of their service is that they provide you free Whois service. This service allows you to hide your registration information from the general public. In short, these are the few things that I have learned based on my experience, and I suggest you follow all these to find the right domain for your business. If you have any question in your mind, please ask me in the comment section below.